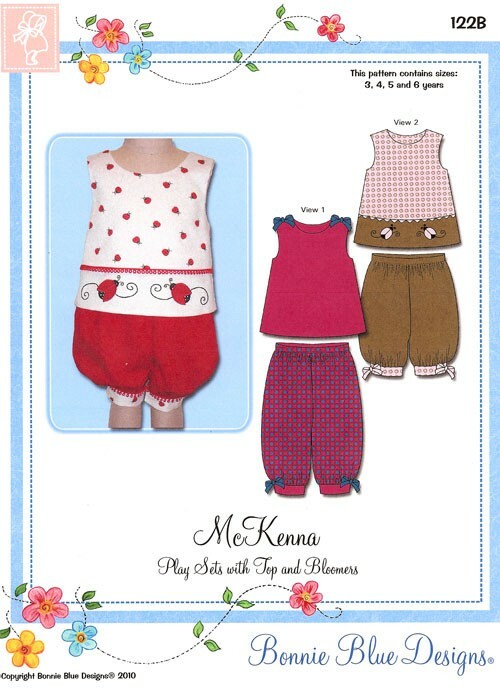 Easy to make and fun to wear back buttoned tops with knee and ankle length cuffed bloomers. View 1 top and bloomers feature contrast ribbon ties. View 2 top features contrast band and applique ladybugs. Select Pattern Size option 12, 18, 24 mo. 3 - 6 yr.